Tonight's the night where many of GM's Heritage Center cars will wave goodbye and meet their new owners for the very first time. 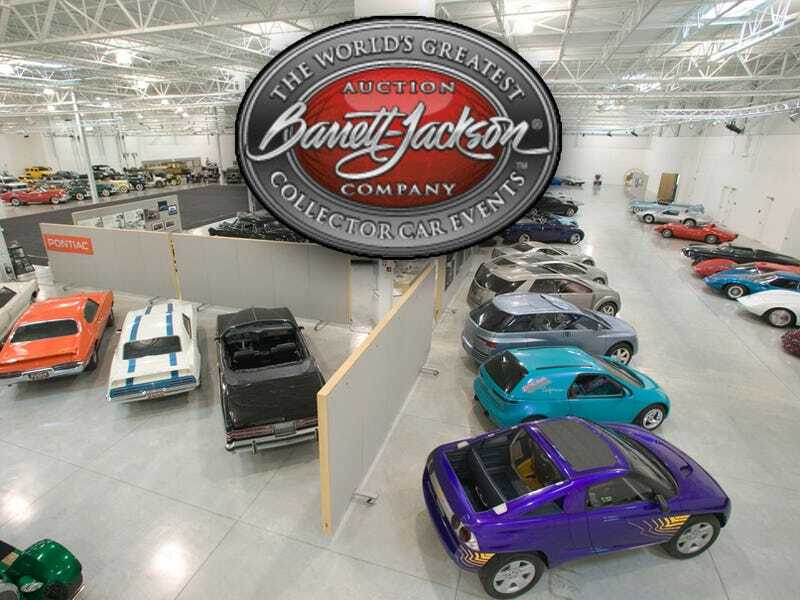 We reported last month that GM would be auctioning off a large chunk of its Heritage Center collection at the Barrett-Jackson auctions in Scottsdale, Arizona. For those of you not keeping track, tonight at 7pm EST the Speed Channel will be broadcasting live this significant and historical auction. The Heritage Center collection will be auctioned off throughout the week ending on the Sunday, the 18th. Though not all of the vehicles will be auctioned this week. GM will be sending the remainder of the Heritage Center collection to Barrett-Jackson’s Palm Beach, Florida auction in April. A sign of the Carpocalypse, yes, but there are over 1,000 vehicles at the Heritage and GM periodically auctions off duplicates or little used vehicles in order to sharpen the focus of the collection. A vast majority of the cars that’ll be auctioned were created for SEMA or were demonstration cars from various shows and no longer serve a purpose in the collection. The Speed Channel broadcast schedule for the Barrett-Jackson auction is below along with the list of cars to be auctioned.